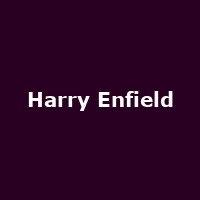 Harry Enfield is an English comedian and actor who rose to fame with his Stavros character in the '80s on Channel 4's Saturday Live - the same show which helped launch the careers of Ben Elton, Stephen Fry and Hugh Laurie. Later characters (all created in collaboration with cohort Paul Whitehouse) included cockney plasterer Loadsamoney and his Northern counterpart Bugger-All-Money (but he's *that* 'ard!) and his (and Paul Whitehouse's) many characters in Harry Enfield and Chums and more. Harry and Paul won BAFTA's for the series "Ruddy Hell! It's Harry and Paul".